Being comfortable is our aim. We all love to be comfortable. We all want comfort. When we are inside our buildings (whether home, office or something else), we fiddle with the heater, aircon, jumpers, scarves, etc, so that we can relax. The Building Code calls the buildings we live in “occupiable”, and accordingly require those buildings or parts of buildings to have better insulation than sheds or garages. Outside a house is the weather. We don’t get much say in it. We might be affecting the weather over the years via our heavy carbon footprint. But from day to day, if the weather decides to be hot or cold, we have to roll with it. It’s supposedly summer in December in Melbourne, but in this part of the world it still gets cold. Even 15 degrees is a bit cold for most of us. Inside a Superpod® certified passive house, you won’t feel this change in temperature. You will feel comfortable, because the house will be naturally (or passively) around 19 or 20 degrees celcius most of the time. 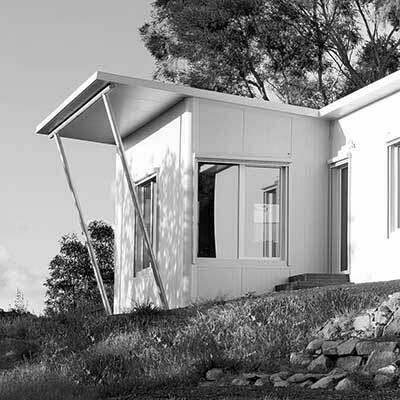 Whether you call it a Superpod®, pod, podhome or a podhouse®, or something else, it’s the certified passive house design that gets you the results. How does a heat recovery unit affect how you feel inside? It keeps the air warmer in winter, but prevents it from getting stuffy or humid. Fresh air helps you to feel wonderful, and stale air is extracted continuously. In winter you need a supplementary heater in many parts of the world, but there won’t be nearly as much heating required as for a standard type of building. Right now, if it’s 15 degrees outside, you will be comfortable inside our award winning building. You will be around a comfortable 20 degrees without a heater all night. Heat captured during the day from the sun in the windows stays in the house all night. But you still get fresh air all night too. Like a ventilated warm cocoon. Light bedding only. It’s just so relaxing. We don’t even know what the temperature is outside.